Frangelico is known as one of the big guys, one of italy’s most famous liqueurs and one which has been around for more than 300 years. 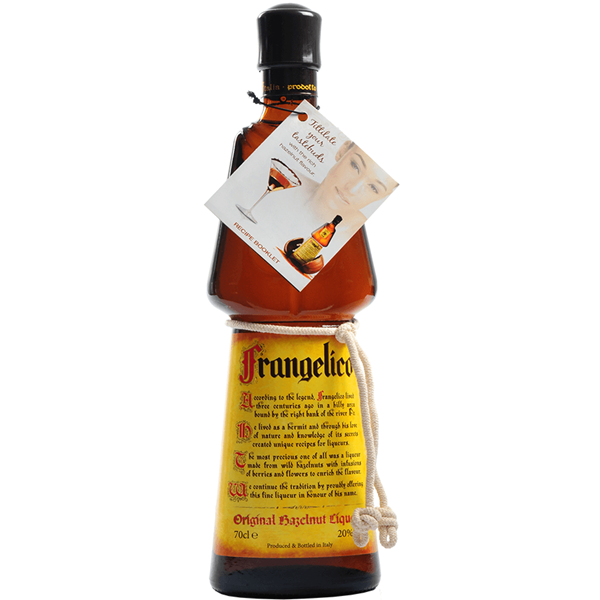 traditional in its production and flavour, frangelico captures the essence of the rich and flavourful hazelnut and offers it up as a smooth and creamy liqueur. the bottle is shaped like a monk’s habit, bringing back memories of its first producers and the flavour is truly intense with a nuttiness which is wonderful in coffee, over dessert or as part of the base of a creamy cocktail.